Many would say their favorite area of the home to relax is the shower, a place where most of us either start or end our days. Together, we can find unique options for your perfect bathroom, so that you can start your journey towards the most luxurious, relaxing shower experience possible. Rainfall shower heads are designed to give you a soft, soothing experience that is miles away from a traditional harsh shower head. You can choose the Ultra-Thin Rain Shower Head, which starts at a ridiculously low price for such a major upgrade. Or, you could be even more radical and opt for this Sprinkle Shower Faucet with LEDs. Glass showers are another trend that you should look into to turn your bathroom into a truly modern oasis. Through the use of glass you cut down on the amount of clutter and cramp within the room. Clear acrylics are all the rage in the living room- why not move them to the bathroom as well? Check out this affordable design from Home Depot, which is a stepping stone into the range of glass showers there are available. No one enjoys feeling chilly after they’ve stepped out of their piping hot shower. Check out radiant heating for tile floors, if you’re really looking to immerse you, your guests, and your family in luxury. This can either be a DIY project or an installation. What’s even cooler is that you can program and modify your temperature control right from a thermostat, like you might with your central heating. Infinity baths are a bathroom commodity of the future. If you want more than just utility, then infinity baths might be the move for you. Move beyond showers and baths, to a bathtub that used to be found only in high-end hotels. The illusion of the infinity bath, as demonstrated in this product, is magical. The true mark of a fashionable home is that it is always one step ahead of the game. Salvaged shower doors are a way to reuse items in artistic ways. Take these set of glass doors that were repurposed into shower doors. The effect is clever, unique, and beautiful. These windows add rustic and interesting texture. Try upcycling french doors for a really classy and timeless shower design! 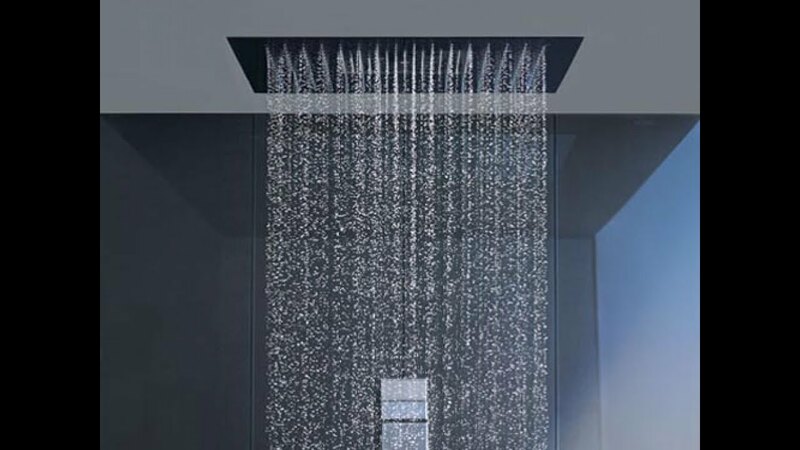 The next shower innovation is something that is guaranteed to bring your shower experience from mediocre to meditative. Therapeutic lighting can be combined with essential oils, a gentle and well-researched rainfall shower head, and some soothing music. Chromatherapy can really be the shower of the future. Enjoy the experience by making sure your bathroom has adequate outside lighting, and install some LED lighting within the shower itself for some long awaited ambience. The artistic streak doesn’t have to stop when your feet hit the floor. Try some nifty new tile ideas on for size! Our favorite recent trend for your modern bathroom is a hint of a seaworthy flair- mermaid scales are all the rage. Try a classic blue pattern for a whimsical look, or get your carrara on with marble tile mosaics. One of our favorite modern trends? Making sure your style meets utility. Your beautiful home should age as gracefully as you do. Seated showers are a luxury now, but a necessity in the future. Why not install them now and get the best of both worlds? Choose a style that doesn’t cramp your fashion. The seat should add flair, not remove it. Choosing a seated shower like this one can make the seating and shelves blend right into the shower’s structure. Try throwing some textured natural stone into the mix. Textured natural stone is ideal for adding color and interest. You can opt for an entirely stone shower, or purchase tiling or small pieces that will add just the amount of drama you’re looking for. 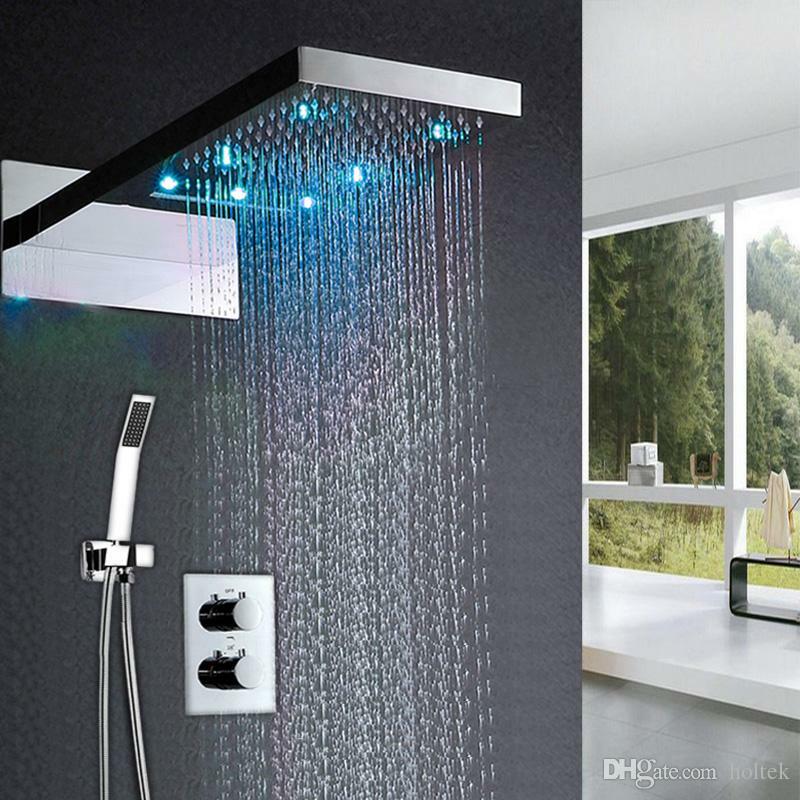 Finally, don’t let yourself be restrained by typical shower designs. 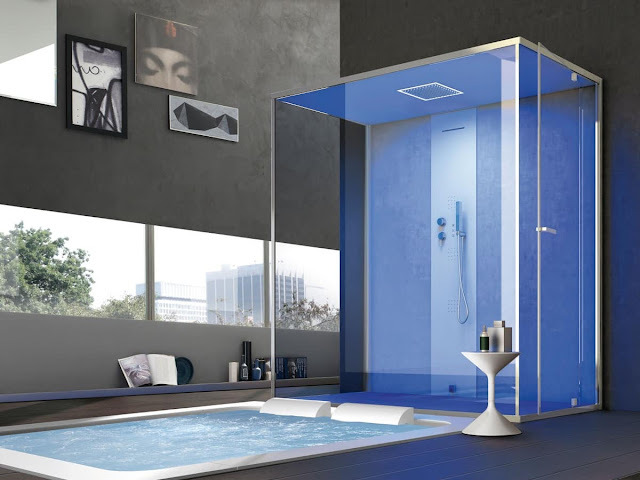 Steam showers are the height of luxury, and everyone deserves some luxury now and then. Why not invest in a luxury you can enjoy every single day? Many steam showers, like this one, include many of the amenities we recommend for your modern home. Don’t settle for average!